The Servo Expansion Board adds 16 PWM (Pulse Width Modulation) outputs to your Omega. With this expa.. 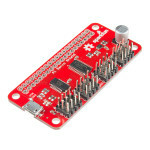 The SparkFun Pi Servo HAT allows your Raspberry Pi to control up to 16 servo motors in a straightfor.. 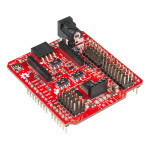 The SparkFun Servo Trigger is a small robotics board that simplifies the control of hobby RC servo m.. 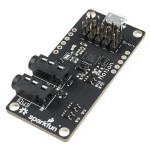 The SparkFun Continuous Rotation (CR) Servo Trigger is a small robotics board that simplifies the co.. 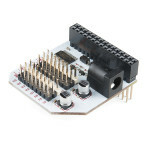 The BeagleBone Blue is the affordable and complete robotics controller built around the popular Beag.. 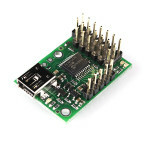 The Micro Maestro is the first of Pololu’s second-generation USB servo controllers. 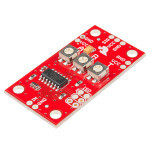 The board suppor..